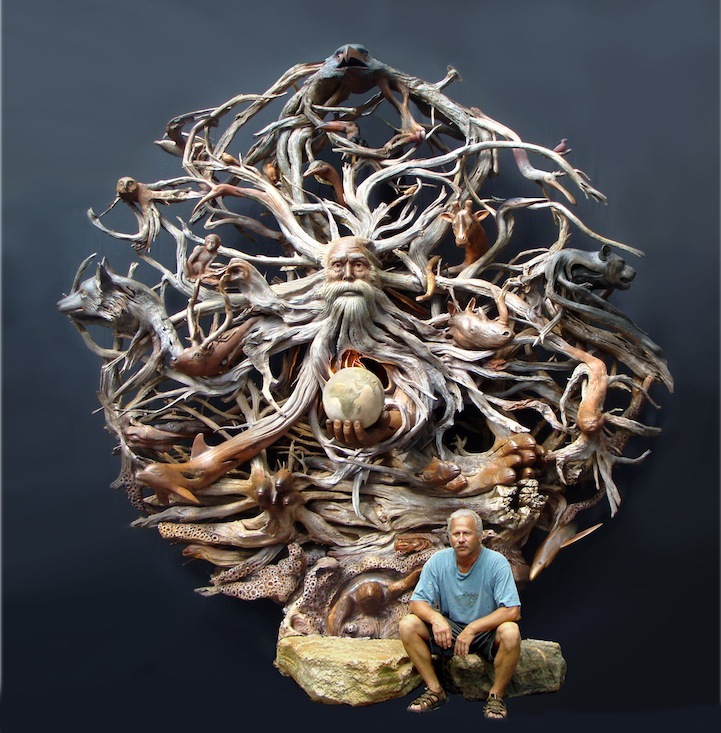 A Matter of Time is an incredible wood sculpture by artist Paul Baliker that features a variety of creatures from the animal kingdom. The massive and intricately detailed piece, which took 6 months to complete, presents itself like a three-dimensional mandala exhibiting the diverse species of life on Earth. The list of animals featured in the sculpture includes everything from an owl and parrot to a monkey, turtle, giraffe, and rhino.